miniOrange provides secure access to Moodle for enterprises and full control over access of applications, Single Sign On (SSO) into Moodle with one set of login credentials. 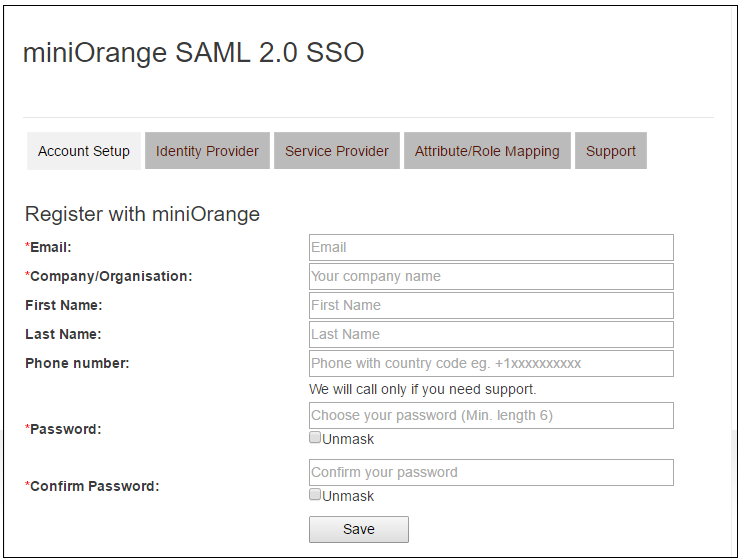 miniOrange SAML Single Sign on (SSO) plugin acts as a SAML Service Provider which can be configured to establish the trust between the plugin and a SAML capable Identity Providers to securely authenticate the user to the Moodle site. 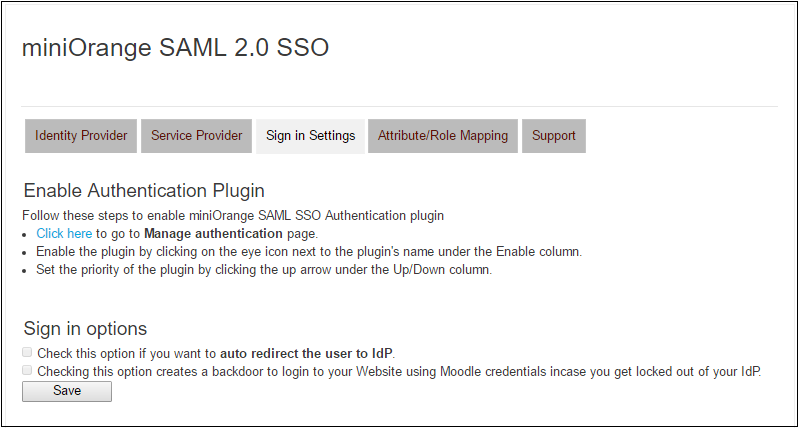 If you want Moodle to acts as a SAML Identity Provider and single sign on into various SAML supported Service Providers to securely authenticate the user using the Moodle site then you need to use Moodle as IDP plugin. * These prices are for 1 instance only. Check out our pricing page for full details. 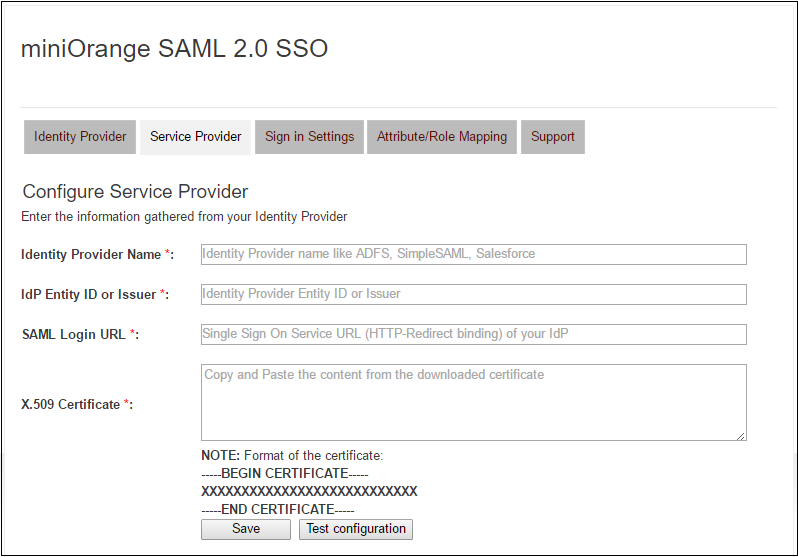 SAML Single Sign On (SSO) for Moodle allows users sign in to Moodle Server with your SAML 2.0 capable Identity Provider. We support all known IdPs - miniOrange, Google Apps, ADFS, Okta, OneLogin, Azure AD, Salesforce, Shibboleth, SimpleSAMLphp, OpenAM, Centrify, Ping, RSA, IBM, Oracle, Bitium, WSO2, NetIQ etc.SAML Single Sign on (SSO) acts as a SAML 2.0 Service Provider and securely authenticate users with your SAML 2.0 Identity Provider. Login as administrator in Moodle. Go to Site Administration >> Plugins >> Install plugins. Install the plugin from downloaded ZIP package or from Moodle Plugins Directory. After Installation Go to Site Administration >> Plugins >> Plugins overview. 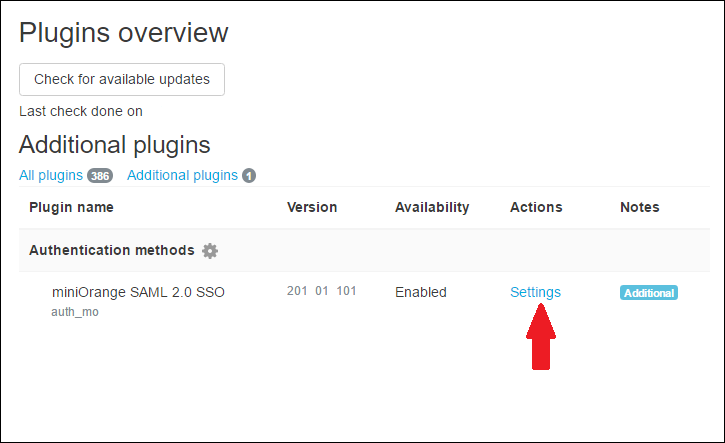 Before configuration, Register the plugin with miniOrange. Step 4:Go to Attribute/Role Mapping Tab And fill in all the fields. Attribute Mapping is used by the Identity Provider(IdP) and the Moodle group(SP) to map user information from IdP to SP. Attribute Mapping helps you to get user attributes from your IdP and map them to Moodle user attributes. Attributes received in successful Test configuration are used for Attribute Mapping. 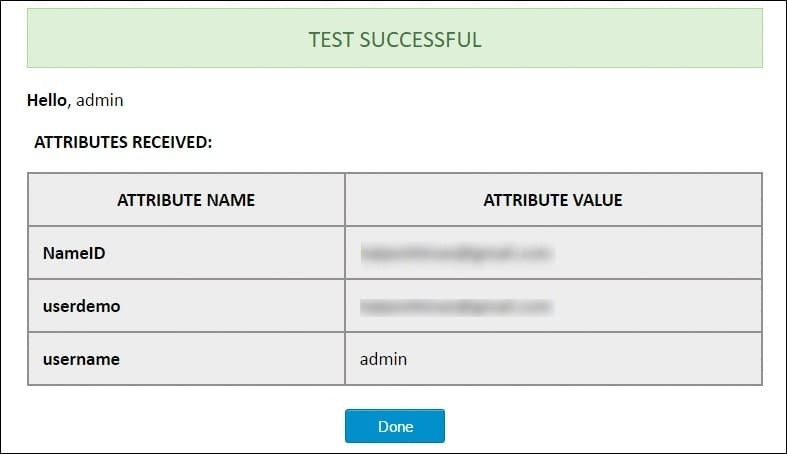 In Attribute Mapping details like username and NameID as shown in step 3 of Test Successful are mapped to Username and Email respectively. While auto registering the users in your Moodle group these attributes will automatically get mapped to your Moodle user details. 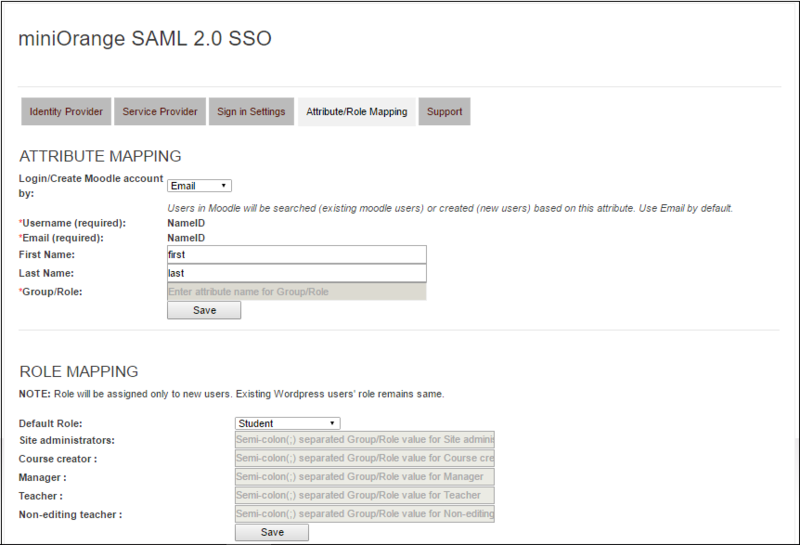 Moodle plugin assigns roles to groups which are mapped against those groups. Moodle uses a concept of Groups, designed to give the site owner the ability to control what groups can and cannot do within the site. In Role Attribute enter the Attribute Name given against role value of Test Configuration for the user. Role mapping helps you to assign specific roles to users of a Moodle group from your IdP. Login Button Text make your organization's SSO easy for Moodle users to recognize. You also have option to disable your Moodle login by clicking Disable Moodle Login checkbox if you have enable a Single Sign-On plugin. Enable backdoor checkbox allows Administrators to bypass external authentication and log in with a Moodle administrator using user name annd password.Note: that a logged-in user cannot access this page only an administrator could.